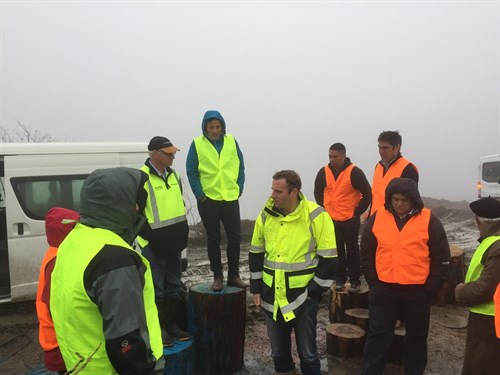 As part of a programme to up-skill its managers in land use options, Te Tumu Paeroa (the new Maori Trustee) asked PF Olsen to run a one and a half day workshop for staff in Wellington on 24/25 of August. The brief for the workshop was an introduction to forestry, a kind of Forestry 101, and it was to cater for a wide range of prior knowledge bases. PF Olsen was excited to get the request. To be asked to talk about the potential of forestry as a land use to a group that influences a wide range of iwi land ownerships was a great opportunity. Rather than promote forestry "carte-blanche" the theme of the workshop was to match land use capability with land use potential. This means applying the best, but different, land uses depending on the situation - e.g. soil, topography, climate etc. It soon became apparent that Te Tumu Paeroa was involved in forestry in a range of ways, and during discussions we were able to explore both existing projects and possible future ones. The first day of class room-type sessions was followed on the second day by a field trip into the forests formerly owned by the Wellington Regional Council and now managed by PF Olsen. 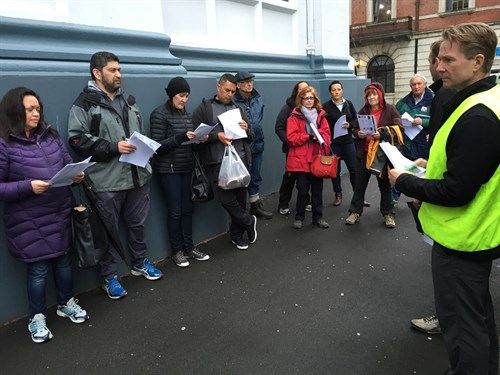 Even the strong, cold Wellington wind and rain didn't deter the intrepid forest visitors. At times the fog obscured our view, but there was still plenty of opportunities to observe forestry and harvesting in a very challenging environment. Many of the stands were planted on steep terrain and close to lifestyle blocks which had high recreational use; all factors that have to be built into careful multi-use management.